Irvine, Calif. (November 2, 2018) - Angela Gomez-Mettler has been named 2019 president of Building Owners and Managers Association (BOMA) of Orange County. BOMA Orange County is a professional trade association comprised of commercial real estate professionals and service partners. With about 400 members, the Orange County chapter is one of the largest in the United States. BOMA offers a variety of programs designed to enhance and advance the careers of its members. 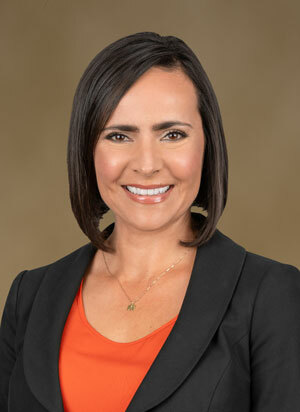 Gomez-Mettler is a vice president and senior property manager with Kidder Mathews, and she is responsible for leading the firm's property management business in Orange County and Greater Los Angeles. She has nearly 20 years of experience in the commercial real estate industry. Before joining Kidder Mathews, Gomez-Mettler was with The REMM Group in the Greater Los Angeles area where she managed a 60-building portfolio and before that, she was with CIM Group in Los Angeles where she oversaw a mixed-use portfolio consisting of 25 projects including 1,700 apartment units and 1 million square feet of commercial and development sites. “I am honored to be part of this organization and to serve as BOMA Orange County chapter president. I look forward to working with the board of directors in the coming year and to work toward bolstering the partnership with local institutions of higher learning via a mentorship program, developing additional revenue streams, and increasing community involvement and contributions,” said Gomez-Mettler. The Building Owners and Managers Association (BOMA) International is a federation of 88 BOMA U.S. associations and 18 international affiliates. Founded in 1907, BOMA represents the owners and managers of all commercial property types including nearly 10.5 billion square feet of U.S. office space that supports 1.7 million jobs and contributes $234.9 billion to the U.S. GDP. Its mission is to advance a vibrant commercial real estate industry through advocacy, influence and knowledge. For more information, visit bomaoc.org.